The defence budget was estimated at $290 million in 2006, or 6.3% of GDP. Eritrea is divided into four military regions. The commanders of these four regions report directly to the President as commander-in-chief, leaving the Defence Minister with little more than ceremonial duties. Eritrea’s armed forces are built from the liberation army that won independence. The official tasks of the armed forces include strengthening the country against external attack, maintaining border security and developing social cohesion. Since independence in 1993, the Eritrean Defence Forces have fought a number of border conflicts with Eritrea’s neighbours, most notably the 1998-2000 Border War with Ethiopia. There have also been clashes with Djibouti. Much of Eritrea’s military strength comes from conscription but this has resulted in large numbers of deserters and draft dodgers as conscripts often end up working in government offices or even businesses owned by the ruling party. External	 •	There is continued military tension between Eritrea and neighboring Ethiopia. •	Maritime piracy is a persistent problem along Eritrea’s coastline. Internal •	Incidents of bandidtry and terrorism have been reported on the country’s western border with Sudan. Regional	 •	Instability in Sudan, Ethiopia, and Somalia may affect the country’s foreign security policy making. 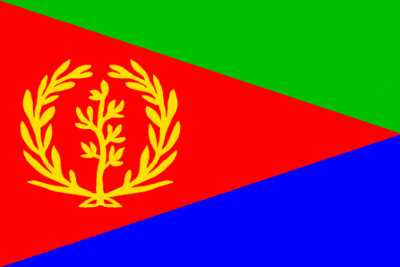 Political •	Eritrea is currently considered to be politically stable. Economic •	Eritrea’s economy has shown considerable growth in recent years due to increased agricultural output and the expansion of the country’s mining industry. •	Eritrea’s previous war with Ethiopia has severely dampened the country’s economic aspects in the past and any flare up in the current stalemate will again negatively affect Eritrea’s economy.